The best moments in the day are the ones spent with baby, so make the most of precious time with Graco's Duet Soothe Swing + Rocker. This ingenious swing has a seat that doubles as a rocker, giving you the flexibility to move around the house while keeping baby cozy and close-by. 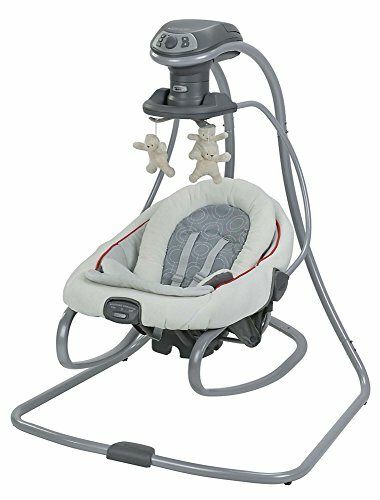 in swing mode, three seating positions give baby the option to sway side-to-side or swing back-and-forth - whatever he prefers with added features such as a plug, vibration, and music, the Graco Duet Soothe Swing + Rocker has all the options baby will love.